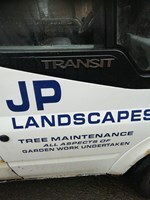 JP Landscapes - Garden Services based in New Inn, Gwent. Hi I'm Jim From JP Landscape. I have been working in the gardening sector for the last 15 years where I have built a wide customer base in the industry. I do all aspects of work undertaken such has tree and stump removal general trimming of hedges, grass, bramble, cutting, waste removal, fencing, turfing, power washing, all types of gravelling.